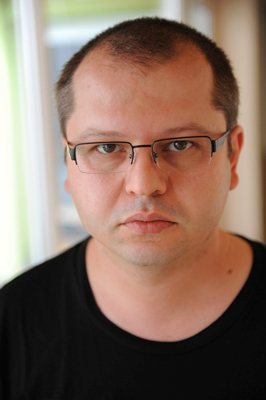 Corneliu Porumboiu graduated from the Film Directing department of the National University of Theatre and Film from Bucharest. He had his early films seen in important cinematographic events in Europe and USA - A Trip to the City (2003) won the Second Prize at Cinefondation, Cannes Film Festival, and the Best Short Movie Prize at Cinema Mediteraneen Film Festival, Montpellier; Liviu'sDream (2003) was the Best Romanian Film at TIFF, Romania, and was selected at Telluride Film Festival, Great Expectations Section. He started 42 Km Film in 2005, and acted as a producer, director and screenwriter for the features that his company produced. Over the years, The Coproduction Office and Wild Bunch distributed his films worldwide and Les Films du Worso and Rouge International were his coproducers. His films were screened around the world in cinemas or in festivals such as the ones from Cannes, Sarajevo, Vienna, Locarno, Thessaloniki, Busan, Minsk, Brazil, Copenhagen, Kiev, Buenos Aires, Bangkok, Brussels, Hamburg, Belfort, Romania, etc. In 2011, he was a member of the Cinefondation section Jury in Cannes Film Festival. His debut feature, 12:08 East of Bucharest (2006) won the Camera d’Or award, and Police, Adjective (2009) won the Jury Prize at Cannes. They were followed by When Evening Falls on Bucharest or Metabolism (2013), and the documentary The Second Game (2014). The Treasure won the Un Certain Talent award at Cannes 2015.